Teachers from different phases will work together in this Work Group, to improve communication between Key Stages 2 and 3, with the overall aim of improving continuity of learning by pupils in the four years between Years 5 and 8. Participants will be looking at how the use of bar modelling to represent problems and structure understanding can improve students’ learning in KS2 and KS3 and will develop a consistent approach to it through discussion, joint lesson design and delivery, observation and the development of documentation to support continuity. Suitable for Secondary school maths teachers and all primary school teachers. 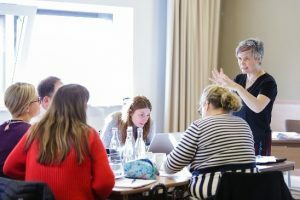 Each Work Group will consist of pairs of teachers, from linked, or neighbouring, primary and secondary schools, working together to develop a shared understanding of the teaching that gives the best chance of pupils progressing steadily in their mathematical understanding between Years 5 and 8.